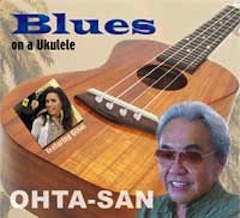 HO Records will reproduce or produce a Ohta-san Ukulele music CD. The company will support Ohta-san’s mini concert and lecture at schools and government-sponsored events in Japan. Ohta-san and Dr. Honda work together as a co-producer with the support of a wonderful recording studio, Rendez-Vous Recording, Hawaii. Herb Ohta is also know as "Ohta-san". He is recognized by many as the world's most diversified ukulele player. 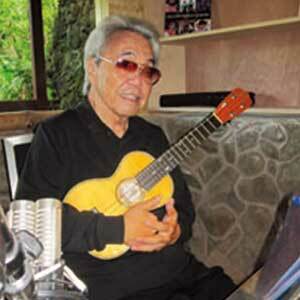 He was inducted into the Ukulele Hall of Fame in 2006. Dr. Masafumi Honda is Associated Professor at the University of Hawaii-Hilo. As the President of Hawaii Japanese Center (Hilo, Hawaii) he has been promoting understanding the history of Japanese immigration in Hawaii. The magic fingers of Ohta-San, internationally renowned ukulele virtuoso, sets a mood and atmosphere spanning emotions from tenderness passion. You will certainly want to add "FOLK SONGS OF THE BALKANS" to your collection. This beautiful prepared, scored and conducted music will let your heart sing and spirits soar.